Aloe Vera plant has a long tradition as a medicinal herb. 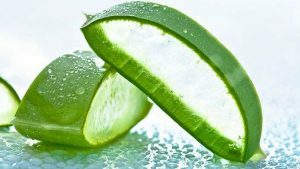 Aloe gel is mainly used in the natural treatment of skin diseases. 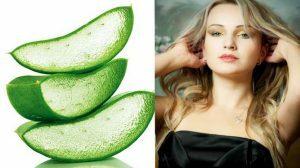 Is Aloe Vera Good For Hair And Health? This wonder plant from North Africa is no stranger to beauty care with more than 200 ingredients, Aloe Vera is ideal for hair care and helps with damaged, dry hair. In addition to anthraquinones, salicylic acid, saponins, enzymes, amino acids, vitamin C, vitamin E, zinc, magnesium, and carbohydrates, it contains mainly water – therefore it revitalizes and moisturizes hair scalp and skin. Insect bites:- Can be Applied to the wasp sting or mosquito bite, the gel has anti-itching and anti-inflammatory properties. Just take some Aloe Vera gel directly onto the stain and let it react. The itching will be less in no time. Sunburn:- Aloe Vera is a natural alternative to cortisone therapies in many areas. 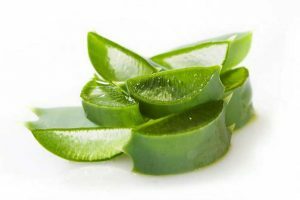 A medical study has proven that aloe vera is even better for the treatment of sunburn and unlike cortisone with no side effects. Inflammatory skin problems such as eczema and psoriasis:- Many patients suffering from psoriasis want to avoid long-term therapy with cortisone. 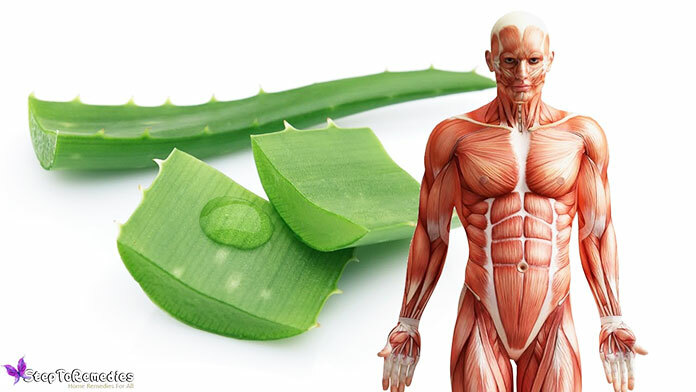 Again, thanks to aloe vera plant for its anti-inflammatory effect is a natural way to counter the symptoms. Burns:- In first degree burns, the gel of a freshly sliced aloe vera leaf may have a cooling and soothing effect. 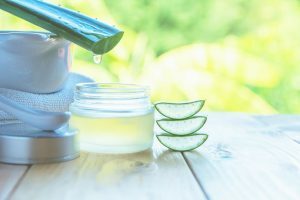 Dry Skin:- When processed as a gel and facial creams, aloe vera is also effective against skin irritation, It also has a soothing and moisturizing effect. 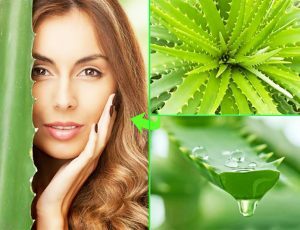 Aloe vera is also a beautiful plant that can restore skin elasticity, cleanse it of all kinds of acne, inflammation, heal all small wounds, strengthen the hair and give it a healthy look and shine! Knowing all this, although I have a beautiful big aloe bush on my windowsill, I didn’t want to try to evaluate its useful properties in practice for a very long time. Until my skin around my chin once got inflamed. Thinking about how to anoint her, I glanced at the aloe, tore off the leaf and smeared the entire skin of the face with its moist core. The very next day, everything went away: moreover, all the skin of the face became what it was clean and pink. I bought a whole book about its effects on the skin and hair and discovered recipes for great home face and hair masks that I want to share with you. Studying Ayurveda, I learned that aloe is a plant capable of endowing a woman with the energy of beauty, youth, beneficially rejuvenate all female organs. And so it is! A couple of procedures and you will see everything with your own eyes! 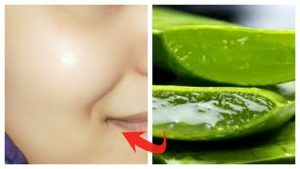 Basically, in all means to care for their appearance with the use of aloe vera juice is included. You can squeeze it yourself from fresh leaves or buy it at the pharmacy. I want to offer you a few super masks for skin, which I consider to be the best and have tried it myself. Mix 1 egg yolk, 1 tsp sour cream, and 1 tsp aloe juice. Take a broad brush and apply on face and neck layers, letting each new coat dry. Leave it on for 25 mint and rinse with warm water, and then rinse the skin with cool. 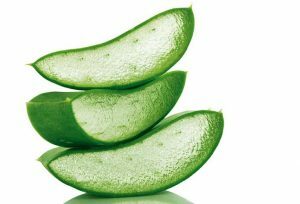 To improve the quality of your skin, make this mask of aloe vera every day for 20 days. The result is stunning !!! Tightened, fresh, radiant, clear skin! This mask is perfect for fading skin, for improving tone, as well as for oily skin with dilated pores. Mix 1 tsp of honey with 1 tsp of castor oil (macadamia, olive, apricot), 1 yolk, 0.5 tsp of aloe juice and 0.5 tsp of orange juice and add oatmeal or chickpea flour to this mixture condition gruel. Use to face and neck for 20 minutes, Rinse with warm and then cold water. Mix 1 tbsp. L of cosmetic clay, add ½ teaspoon of aloe juice. Then add a few drops of rose water and honey and mix well to get a homogeneous paste. Apply to face and hold for 15 minutes, Rinse with warm water and dry. Puree a few pieces of your favorite fruit, add a teaspoon of gel or aloe vera juice and mix well. Use on face and leave for 20 minutes, rinse with fresh water. This face mask also acts as an excellent scrub. 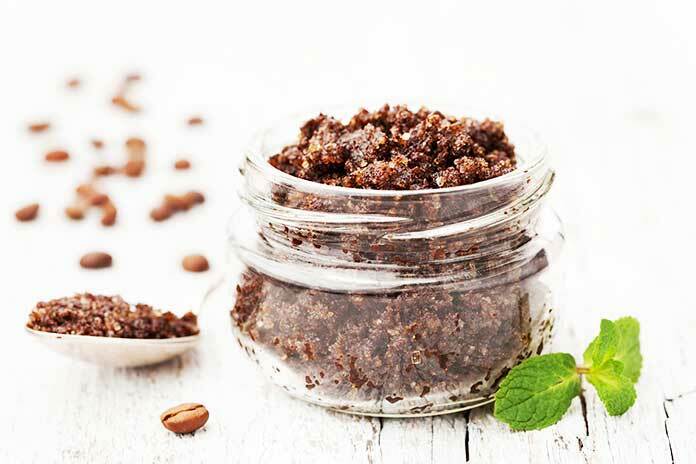 It moisturizes and smoothes oily skin, removing dead cells, fat and excess sebum. In a bowl, mix 2 teaspoons of oatmeal, add 1 teaspoon of aloe juice and mix well to a smooth paste. Carefully apply the scrub in a circular motion. Leave on for 15-20 minutes and rinse with warm water. It is necessary to knead ¼ of the pulp of avocado and cucumber to a state of mashed potatoes in a bowl. In this, all add a teaspoon of aloe gel and green tea. Mix well until paste forms and apply on skin. Hold for 25 minutes and rinse with warm water. This lotion perfectly removes various rashes, peeling, irritation, soothes sensitive skin. It is straightforward to make lotion 100,0 aloe juice mixed with 3 tbsp boiled water and 3 tbsp of alcohol. With this lotion, wipe the skin of the face and neck every day, leave for 10 minutes, rinse and lubricate with cream. Aloe juice in its pure form is used as rubdowns and compresses half diluted with water. It effectively prevents the appearance of wrinkles, tones the skin, removes laxity and lethargy, eliminates acne, dilated capillaries and treats burns. 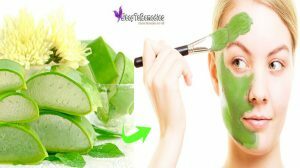 ⇒ How To Use Pure Aloe Vera? It’s simple, lubricate the cleansed face, fresh aloe juice for the face. Do not wash off. After 15 minutes, apply a nourishing cream on the skin. Just remember that the juice is very bitter, be sure to wash your hands after interacting with it! 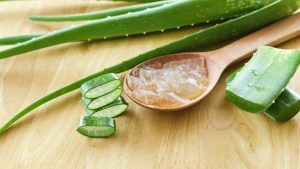 5Is Aloe Vera Good For Hair And Health? Aloe vera – also known as a desert lily – is one of the oldest medicinal plants in the world. The leaf consists of three components: the leaf bark, the leaf juice, and the leaf marrow, from which the gel is obtained. The gel has been and still is mainly used for the natural treatment of wounds, skin diseases and sunburn. This is due to its ingredients. Besides water, it also contains salicylic acid, mono- and polysaccharides as well as amino acids. These have anti-inflammatory, antibacterial, and analgesic. In cosmetics, the gel of the miracle plant has long been used because of its moisturizing properties and processed into creams. Hardly known, however, is the fact that the juice of the plant acts as a natural laxative for constipation. So it’s clear that aloe vera – in whatever form – should not be missing in any medicine box. Many Internet users now swear by simply adding an aloe vera plant for the living room. So you can squeeze the juice directly from the leaves. Use only freshly prepared mixture. Aloe has many beneficial properties. In cancer, they are of particular importance, because it is important not only treatment for cancer, but also the return of former forces, restoration of immunity and normalization of the functioning of all organs and body systems. In 1 ½ cup of fresh agave juice, ½ cup of juice obtained from strawberry leaves and 1 cup of maple juice are added. The mixture is thoroughly mixed, and 0.25 kg of honey is added, mixed thoroughly, and 0.35 liters of red wine is poured (“Cahors” is best suited). Insist on 12-14 days. Take before meals for 25-30 g. Ingredients: mixed by ½ cup of aloe, calendula juice, calico plant, millennial. Add to the mixture 40-45 g of licorice powder. Heat the mixture in a water bath, stirring constantly. Do not bring the mixture to a boil! Then strain. Take the composition to food for 20-25 g Kilogram honey put in a water bath and bring to a state where it is completely melted, but still not boiling. Then add to the mixture a glass of fresh aloe juice, bring to a boil and cook for 15 minutes. Separately, prepare an infusion on birch sap. To do this, take 0.4 liters of juice, 20-25 g of dried birch buds and St. John’s wort flowers. The mixture is boiled for a few minutes, but not more than 10. Then tightly closed and insist about an hour. Filter and squeeze. This must be mixed with honey composition and diluted with 0.1 liters of sunflower, corn or flaxseed oil. Take the juice before meals up to 4 times a day, do not forget to shake each time before use. Scientists for many years working on the problem of oncology. The first experiments with the use of aloe showed the difficulty of using this plant due to the short shelf life. At the end of the last century, new techniques were introduced that allow preservation of the useful properties of agave. The first medical experiments were conducted in 2000. Dr. I. Dankhov used stabilized aloe gel to determine antitumor activity. He performed experiments on mice and concluded that a stabilized gel in combination with a specific dose of vitamin C could reduce the size of a chemical etiology tumor. Of course, the need for even greater scientific evidence is extremely relevant. However, it is already becoming clear that treatment with aloe is indispensable for chemotherapy courses. A stabilizing gel can relieve a lot of adverse symptoms. It is shown in the diet of cancer patients due to its properties to restore metabolic processes in the body, improve immunity. Many doctors noted that treatment with aloe during chemotherapy eliminates such an unpleasant moment as hair loss. Treatment with aloe has some contraindications: Cirrhosis, gallbladder disease, Hemorrhoids, cystitis, Pregnancy, OR age up to 12 years. Take aloe juice should be under the supervision of your doctor! It should be remembered that only fresh aloe juice is sufficient. Modern medicine offers to stabilize gels that have some pharmaceutical shelf life and are convenient in oncology therapy. One of the critical areas in the treatment of cancer patients is the strengthening of the immune system. The body’s defenses in the period of illness suffer enormous loads and collapse. It is the aloe that is designed to restore lost properties and improve the function of the body’s immune system. Therapy is commanded only by the attending physician! Note:- Self-administration of aloe for cancer is not possible.